The 4th and final Meeting of I-pool Project was held in Cham (Germany) in September 2018 in the premises of VHS Cham. 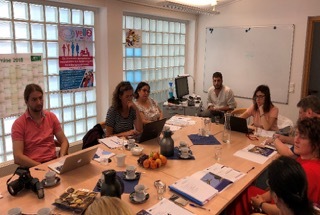 During the meeting the Intellectual Outputs (IO) of the project were verified, and the outputs that have been achieved were assessed by the consortium. The results of the multiplier events in all countries were also discussed, and the outcomes were very positive, showing a fruitful feedback from national stakeholders, thus ensuring the sustainability of the project.